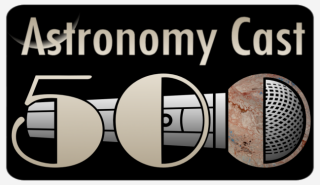 Happy 500th Episode, Astronomy Cast! This weekend, Astronomy Cast celebrates its 500th episode, which will be recorded later today in Edwardsville in front of a live audience! Five hundred half-hour podcasts, more than half of them also streamed live with video during the recording, make up an immeasurable trove of sciencetific and astronomical knowlegde that has always been and always will be available for free. It all started back in 2006, almost exactly twelve years ago, when podcasts were still a new thing and everything was an experiment. Late summer that year, Astronomer Dr. Pamela Gay, who had already been podcasting before anyone knew what it was and space and science journalist Fraser Cain, the editor of Universe Today, joined forces for the first time to record the inagural episode of Astronomy Cast, which was released on September 10, 2006. Almost exactly twelve years later, the 500th episode is about to be recorded – and there will be many more. So, how did I get involved with Astronomy Cast? Back in 2013, I wrote a long post for the Hangoutathon fundraiser to chronicle my journey to CosmoQuest, the citizen science project tightly linked to the podcast. This article is a rewriting of this original post with some additional thoughts.